A friend from my schola had the thoughtfulness to lend me his spiffing new St. Edmund Campion Missal & Hymnal – hence this post. 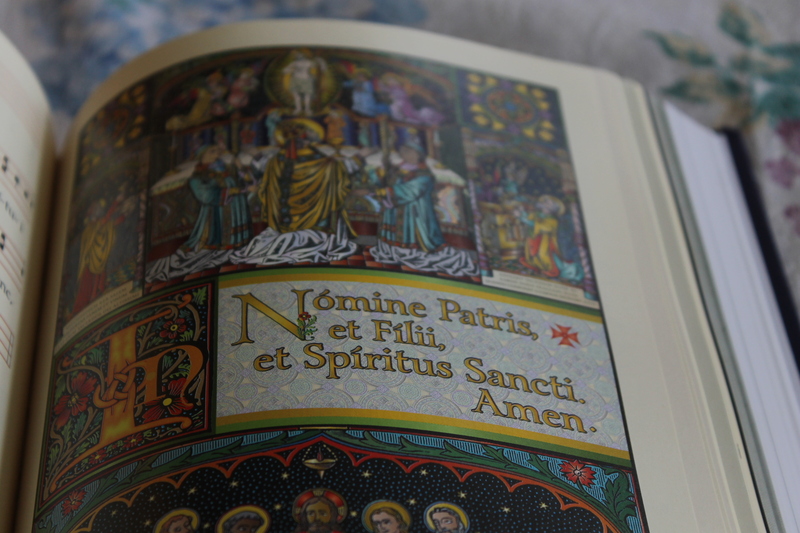 There being several other reviews of this Missal online, rather than try to tell you everything about the book, I will instead try to point out some of the aspects which I found particularly wonderful amidst the astonishing variety which this book presents. 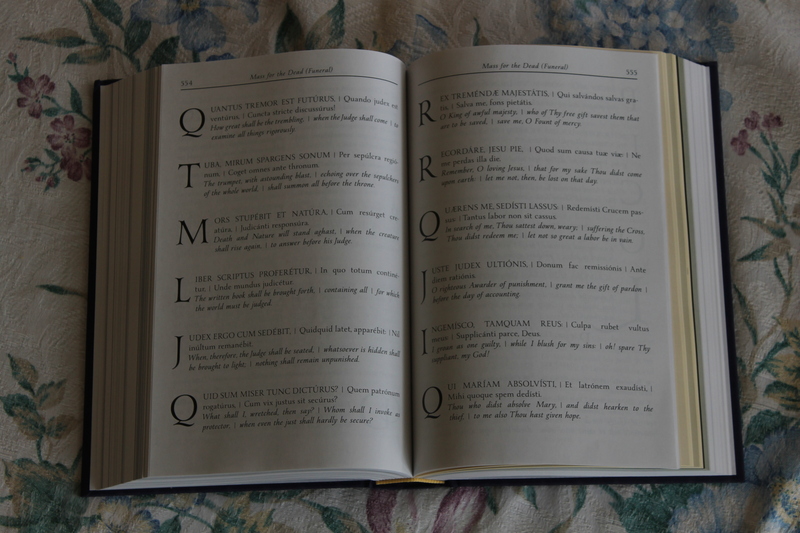 When I showed the Campion Missal to my sister Lydia, she opined: “It is the weirdest (out-of-the-ordinary, fantastic) book I’ve seen in a long time.” My Mother says that it is “like a coffee-table Missal.” Capricious and encyclopedic are probably both good words for it – for it is quite the multi-genre tome. 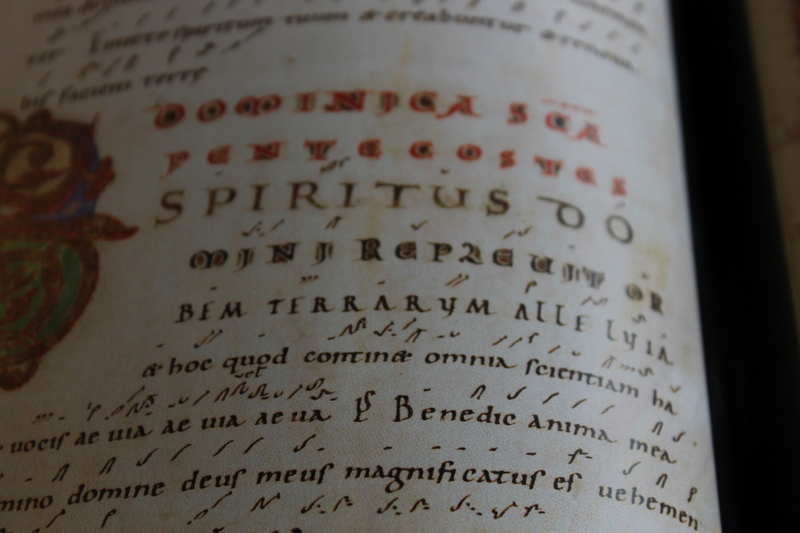 When going over its contents, one feels that it is alternately a hand missal, an illuminated medieval book, a glossy-modern book of labeled artifacts, the Parish-Book-of-Chant, or the Collegeville Hymnal. 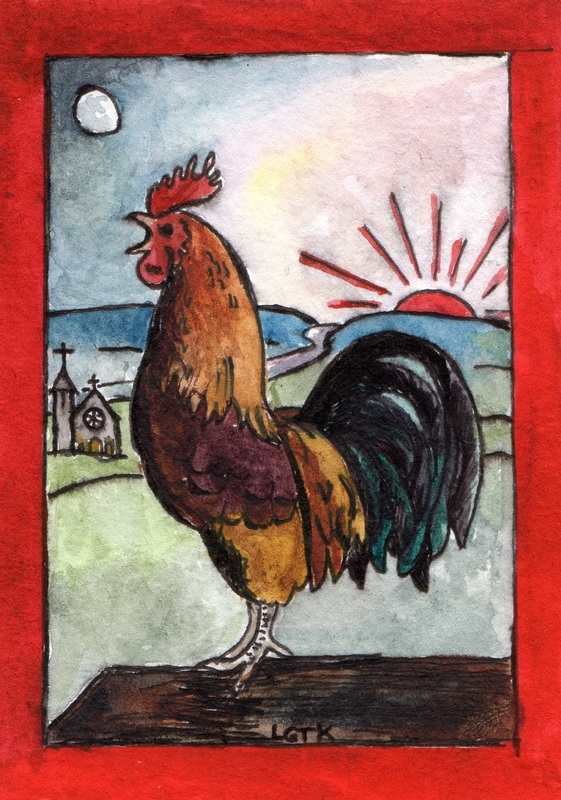 However, everything is thoughtfully pertinent, whether to use while at Mass, or towards provoking further inquiry. 1. The first thing after the introductions, tables of contents, etc. is the introit for the First Sunday of Advent, the famous Ad te levavi. Yes! Not some random stuff, but Ad te levavi, like a good Mass-book. 2. Throughout the book you will find here and there a line of Latin from a hymn at the bottom of the page, or a picture with an inscription, etc. without a translation. This is evidence of being given meat, not milk; also, not knowing what everything says gives the book some mystery. 3. A few occasional chants such as the Palm Sunday hymn Gloria, laus et honor are provided right in the middle of the text. This is exactly where you want them if you are a member of the congregation wanting to sing along with that memorable chant that the choir does every year for the procession. 4. The resumed Sundays after Epiphany / last Sundays after Pentecost are handled well and innovatively by simply writing them out in full, despite their shared propers. I know that there are always people in my family scratching their heads over these Sundays, but this solution looks to be pretty self-evident. 4. The Dies Irae is given a magnificent layout – no apologies for this, one of the most renowned of Latin hymns. The above picture shows the body of this sequence: every verse gets a drop-capital. Ho ho! 5. In places where the actual text that you need is included in an elaborate illumination, (as is the sign of the cross at the beginning of Mass is in the first picture of this post) the illuminated text speaks for itself, and is not repeated in easy-to-read regular text. This means that some of the pictures are actually an intrinsic part of the text, not mere illustrations. 6. 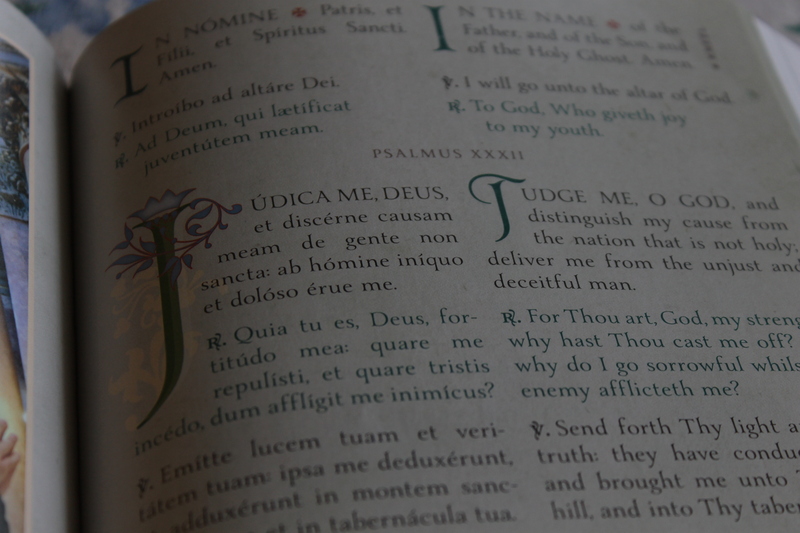 The proper prefaces are not in the middle of the rest of the ordinary (the ones in my missal are, and I have to flip through every last one of them every time I read that section of the Mass). 9. As to the selection of hymns, I cannot say that I have looked at them much yet. However, I did want to point out the note to “What Child is This” as an example of the sort of flexible practicality that can be found in this book: “In some editions, all C-naturals (te) are sung as C-sharp (ti).” Insight! 10. I found the selections for the section Chants for the Congregation to be quite bang on: with maybe one or two exceptions, they are pretty much all reliable drop-of-the-hat pieces for my schola. 11. In addition to the full 18 Masses and 6 Credo’s of the Kyriale, there are also included the ad lib. 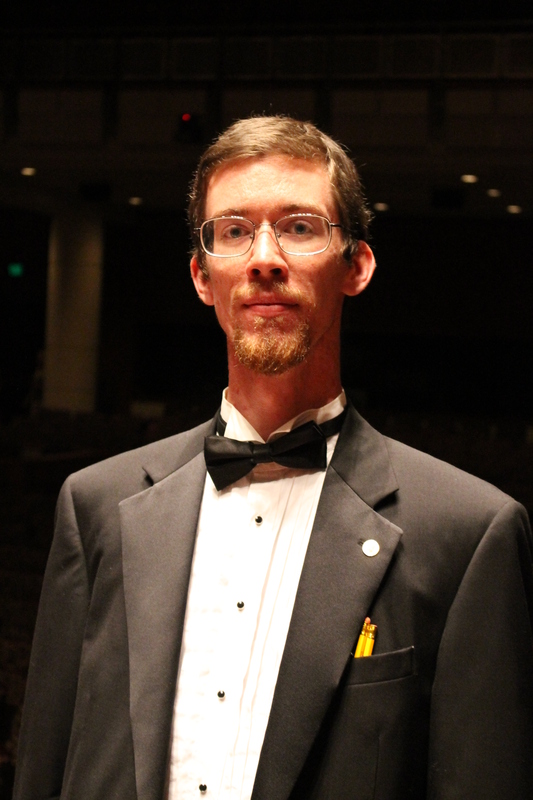 Kyrie’s Orbis Factor and Kyrie Salve – right again! The St. Edmund Campion Missal can be purchased here; more information and reviews are also available here. 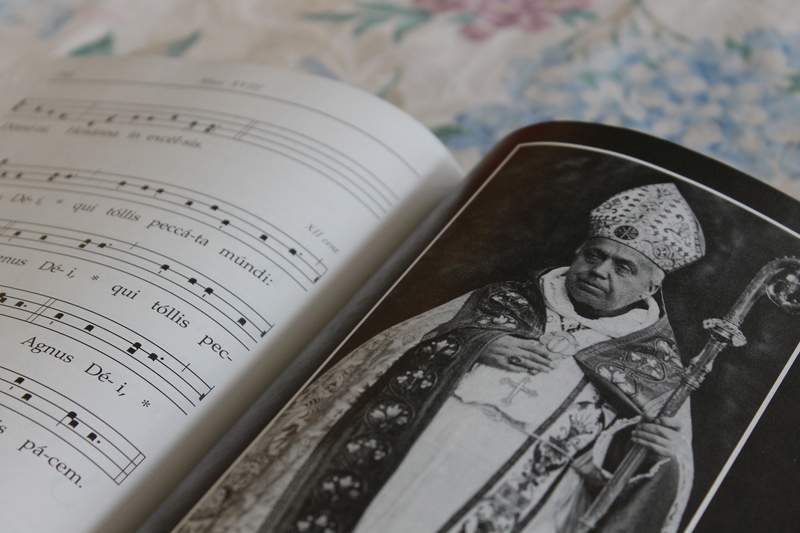 P. S. In case you were wondering, Abbot Joseph Pothier (1835-1923), pictured above, is one of the giants to whom we owe our modern editions of chant. Requiescat in pace.